Are you selling or part-exchanging your accordion? We are usually happy to take your old accordion in part-exchange against any new or pre-owned instruments in our stock. Ideally we would need to see and play the accordion in one of our stores, but can often value some more modern accordions without physically seeing them if you’re not able to make it to one of our branches but could email us pictures and full details. If you have an accordion that you no longer play or have inherited an instrument that is not required, we may well be interested in purchasing it from you. Once again, we will always be able to offer the most accurate valuation if you can bring the accordion into one of our shops for us to see and play, but if this is not possible, we can sometimes give you a valuation after being sent pictures of the accordion via email. If we do agree to purchase or part exchange an accordion from you remotely, we can have a courier collect the instrument from you at a suitable time, and then arrange payment. If you are thinking of bringing your accordion into one of our shops to either sell or part exchange, please do contact us first so that we can arrange for the appropriate person to be around to assist you. At least two pictures of the accordion from different angles, showing both the treble couplers and keys, and bass buttons. A special note about pre-war accordions! 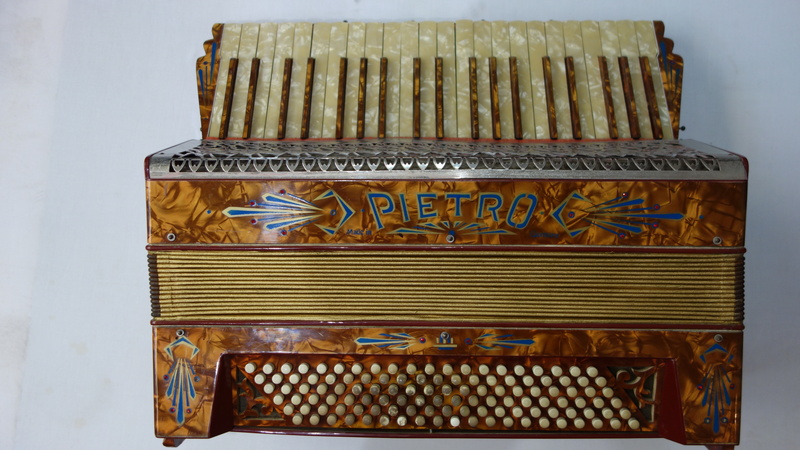 During the 1920’s and 1930’s, which was really the heyday of the accordion, there were huge numbers of instruments being produced by many Italian and German factories. In fact, during this period, accordions were Italy’s largest export! A lot of these were cheaply built student models, so weren’t worth a huge amount even when they were new. Many people are now finding these old accordions in attics and basements, inheriting them from elderly friends or relatives, or picking them up at car boot sales etc. Cosmetically, Pre-war accordions can be beautiful looking items. They generally feature a very attractive mother of pearl effect casework, and are usually highly decorated with imitation jewels, and sometimes have either pearl or ivory effect keys and buttons. The general shape of these instruments is usually quite a bit squarer than modern accordions, which tend to feature a more rounded casework design. 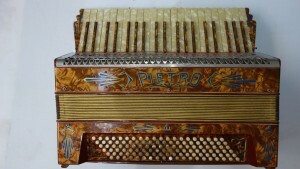 Some older models also feature a unique curved keyboard, and most pre-war accordions lack the large number of treble and bass couplers usually found on modern full size instruments. Usually, accordions of this era are all 120 bass models, as smaller, more compact versions weren’t generally introduced until the late 1950’s 1960’s or so. Sadly, these accordions don’t really have much value to them, due to the fact that, unless they have recently had significant amounts of work done, the internals will most likely require a full restoration to get them back into a playable condition again. Also, any antique value that they may have has been extremely diluted, due to the vast number of instruments that were produced during this period, which are now being found and put up for sale. Although, of course, any accordion can in theory be repaired, the cost of a full internal rebuild on a pre-war accordion will almost always end up costing more than the instrument is worth, so is not a viable option for most people. It is also becoming an issue nowadays to find a technician who is willing to take on the restoration of a pre-war accordion. 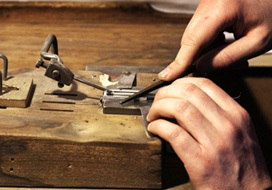 Due to various factors, such as the time required, the lack of suitable spare parts, as well as the general fragility of these older accordions, the vast majority of accordion repairers, refuse to accept pre-war accordions for repair. With this in mind, the best place to sell and accordion of this age would most likely be eBay or similar. Sadly, these instruments are not of interest to commercial retailers. In terms of pricing, pre-war accordions aren’t worth much sadly, and usually tend to find their own price online etc. The best thing to do, would be to have a look around on eBay and other similar sites to see what sort of prices instruments such as these are currently being sold for.